Aedes de Venustas, a NYC destination for fragrance fanatics, opens on the Lower East Side. 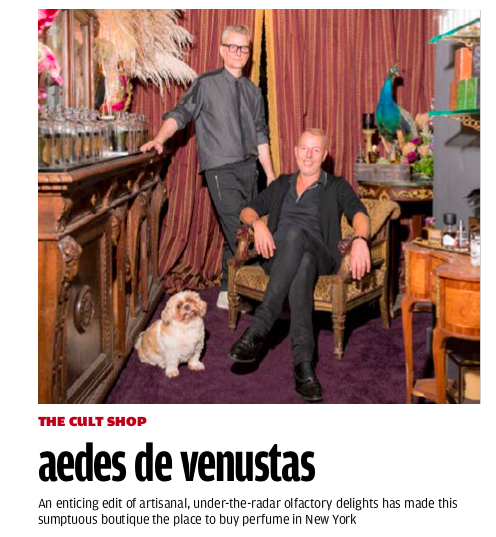 My latest cult shop piece in How to Spend It is about the legendary NYC perfumerie, Aedes de Venustas. Originally in the West Village but recently located to the Lower East Side, this gem of an olfactory space is still going strong, with a major cult following.